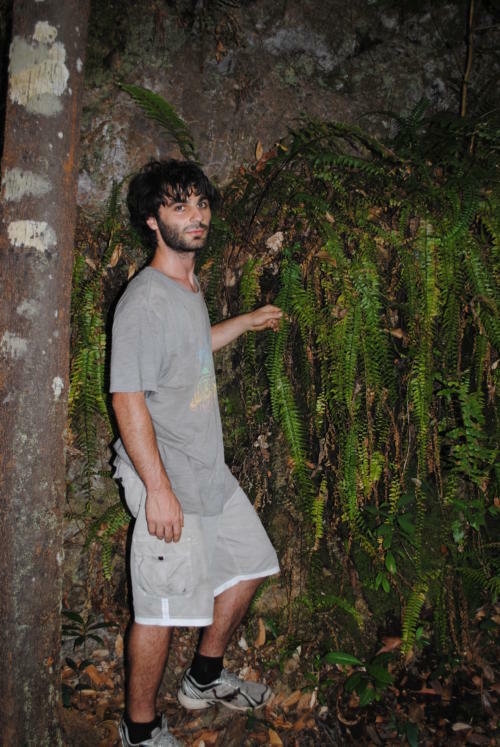 Daniel Ohlsen’s passion for ferns has not only led to the discovery of new species but also shown how far these plants have propagated. ‘Leeches love me. I have even had them in my eyes. Once, my whole leg was red with blood oozing down it because there were so many leeches. It happened on a rainy sample-gathering trip up north. I wanted to be a scientist from a very early age. I had an interest in taxonomy, looking at the names you apply to organisms, and looking at biodiversity. 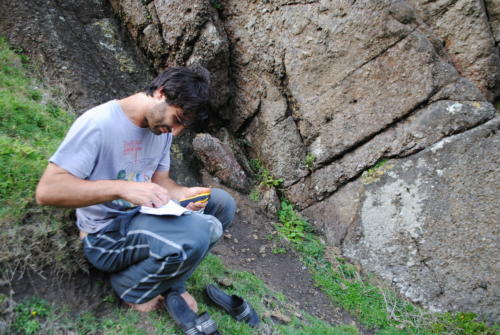 From primary school my interest was nurtured through trips to the zoo and local museums and during family camping trips. My mum and dad supplied me with books and allowed me to follow my interests. I have always liked ferns but a chance event led me into this field. I knew not much work had been done on ferns in Australia and I thought this would be a really interesting topic to research. Now I am pigeon-holed into ferns! I look at how Asplenium, the largest fern genus in Australia, are related to each other. After determining how these ferns are related we can begin to understand how these species have come to be in the area they are now and what names we should give them. My research is focused towards academia. For people who are new to taxonomy and conservation, it is important they know there are still undiscovered species of plants to be classified. We need to keep researching these topics to find this hidden diversity in the world. For professionals and fellow scientists, it is really a statement: this is what I found, this is the new stage of development we are at with the classification of this group. So, this is your benchmark. We have all these species, I have named them this, so you refer to these species names now. It is important to identify these ferns for conservation. You need to know what is out there before you can conserve it. That is the primary importance. Documentation is important too. We need to be able to communicate about a particular species. Part of my project has been to put a DNA classification to fern species in Australia. In the past, classification was based on morphology: how the ferns looked and were described. I came along and added DNA to the mix. The species I describe as new in Australia weren’t discovered by me. The samples were just collected and placed in a herbarium, but no one had bothered to confirm that they were different species and followed that up by naming them. I also determined that some species of uncertain identity in Australia were in fact the same as species that were known to occur overseas. 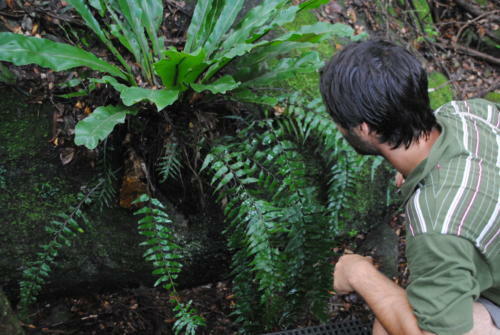 We have new species of ferns in Australia because of this project. The DNA sequencing helps determine how plants have evolved and how closely they are related to each other. To get a good sequence you can interpret you need lots of copies of the DNA. You need to isolate a single strand of DNA and give it all the building blocks DNA needs to make more DNA. Then, give the sample all the conditions it requires to assemble those building blocks. This process is called PCR-polymerase chain reaction. It can take up to three hours to replicate the DNA. That’s predominantly why it took four years to complete my PhD. When the lab work is not going smoothly it can be quite demoralising because you don’t know if it will ever work. It is quite mysterious. You just add chemicals to the tubes and hope for the best. After you have the samples, you need to label the DNA with fluorescent markers so it can be read with lasers to pick up exactly what the sequence is. I also looked at the history of ferns. If the species started off in a particular area and moved to another geographic area how many times did this occur? Using DNA sequencing, I uncovered an insight into its history. This group of ferns moved between Australia and New Zealand five times. It is remarkable they could move this huge distance that many times, further confirming ferns can disperse over long distances.